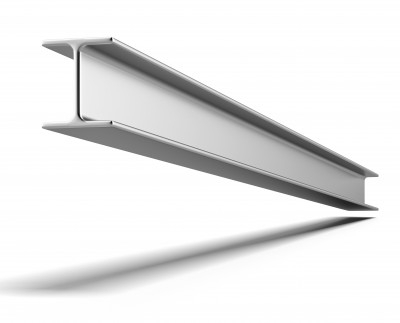 Where does each girder go? The Bible has a superstructure that holds it all together. So the thematic element of the promised seed in Genesis 3:15 will work its way through multiple books and become overt in places like Galatians 3 at the other end of the canon. But this poses a challenge. How much should we be preaching Galatians 3 when we are supposed to be preaching Genesis 3? Many preachers would see no problem with springing from Genesis to Galatians since that is the fulfillment and the clarification of what is first stated in the Garden of Eden. I am certainly not going to criticize the impulse to preach Christ and it would be strange to leave listeners wondering who that seed might be (unless such suspense were part of a bigger teaching strategy). On the other hand, I do wonder if we can collapse themes forward too easily and lose some of the strength of the steel at that point in the biblical story? If the Bible were a building, then Genesis would be the foundation. Steel starting there does go through the whole structure and holds the whole together. Themes of creation, of relationship, of fellowship lost, of divine grace and rescue, of divine promise, etc. all work their way from Genesis on through the Bible. That steel girder seen in Genesis 3:15 later on turns out to be the spire at the top of the whole structure, the pinnacle of it all. It makes sense to let folks know the significance of that, but at the same time it makes sense to help people see the importance of the foundation. That is to say, instead of immediately looking up to the spire that caps off the whole building, when we are preaching in Genesis lets be sure to help people see how the foundation fits together, how the hope offered by God’s grace in the seed of the woman is such a striking promise in the context of a spurned relationship in that first senseless human rebellion. That passage is useful for teaching, rebuking, correcting and training, etc. So let’s preach Genesis 3, not just bounce off it to go straight to the spire. At the same time let’s not get our noses in the foundations and let people miss the grandeur of the whole. It isn’t either/or, it surely needs to be both/and. And with that both/and, I think it needs to be honouring to the earlier text in its own right, not just a token glance. Thank you, Peter. I don’t comment here as often as I might, but I just wanted to let you know how very helpful and inspiring this post was. A lot of the preaching we hear seems to lack any real sense of there being a structure and a coherent narrative to the Bible. I really appreciate your consistently bringing us back to that, and making us away that sermons don’t need to be (and mustn’t be) just sequences of semi-related but essentially separate points. Thanks Mike, this is really encouraging.